Fostering the Next Generation of Agricultural and Natural Resources Professionals through Experiential Learning in Research, Education and Extension. 2018 Applied Plant SROP students. See Eligibility for more information. Follow the application steps to submit the following materials. The goal of this program is to prepare students with both knowledge and skills necessary to address the grand challenges of food production and the environment. 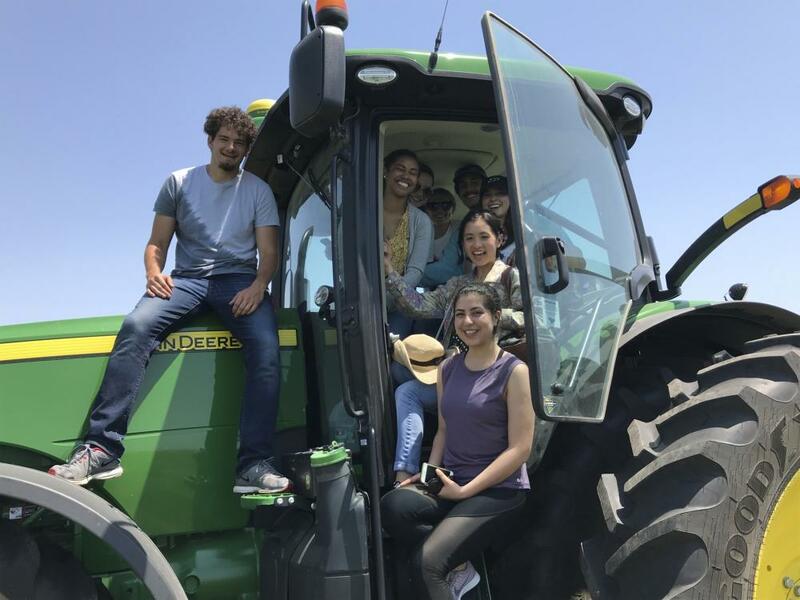 Participating students will conduct a summer experiential internship related to his or her career interests and goals, choosing from a variety of programs in the applied plant, soil, and environmental sciences available through a network of collaborators. The students will also work with their program peers and a team of faculty mentors to engage in activities related to teamwork, decision making, systems thinking, and translating their summer work into learning objects for science literacy. Stipend is $5000, plus $1000 for translating summer experience into learning objects working with UNL science literacy team. Applied Plant Systems students in the field. Program funded by NIFA and the USDA. Learn more about academic and financial benefits. I develop new cultivars/varieties of wheat, triticale, and barley and new breeding methods. Current focus is on disease resistance, hybrid wheat, end-use quality, and climate resiliency. The projects include: disease resistance, hybrid wheat, end-use quality, climate resiliency, winter survival of barley, and forage yields of triticale. High throughput phenotyping is also possible. Contact Prof. Baenziger at 402-472-1538 or pbaenziger1@unl.edu. The Resilient Cropping Systems Lab is exploring opportunities for agriculture to address 21st century challenges around profitability, resource use efficiency, and a changing climate. Current research is focused on approaches to conserve soil and water resources, and includes topics such as integrating cover crops in Nebraska crop rotations, answering basic agronomy focused questions on alternative crops, understanding relationships of cropping systems and water quality, and reducing barriers for farmers to utilize soil health practices. Agronomic use of animal manure to build soil fertility and health has been an economical and sustainable practice for centuries, but it is not without challenges. Manure can be a source of human food pathogens and environmental contaminants including excess nutrients, pathogens, antibiotics, and antibiotic resistant bacteria (ARB). The goal of this project is to address substantial knowledge gaps regarding the movement and fate of the chemical and biological components of manure. Actual projects will be decided in the spring based on availability of resources. Last year’s project was a survey of antibiotic resistance genes (ARGs) in organic soils from Nebraska. There is still a lot of survey work needed to define where and when ARGs are found in both natural and agricultural settings, and the survey projects lend themselves to a summer internship project. A second type of project is one that is more bioinformatic in nature, such as a comparative analysis of microbial communities under three organic cropping rotations. The third type of project is experimental, involving classic microbiological manipulations in the laboratory, such as evaluating how long antibiotic resistant bacteria survive, and how long ARGs persist in different soil types, or under different agronomic conditions. Agricultural soils can help reduce global warming by storing carbon, but management-related emissions of soil greenhouse gases (GHGs) into the atmosphere can counteract the benefits of soil carbon storage. This project provides multiple field-related opportunities to measure and evaluate soil GHG emissions from conventional and alternative management systems used for food and biofuel production. Project outcomes will contribute to evidence-based management recommendations that enhance the sustainability of food and fuel production systems. Plant growth regulators (PGRs) are commonly used in highly maintained turfgrass systems to reduce growth rate and nutrient removal while improving plant stress tolerance. Environmental models are being developed to predict how these products performance and aid in reapplication scheduling. (1) Compare different algorithms to model degradation of PGRs in creeping bentgrass turf, (2) develop re-application schedules for PGRs to avoid excessive amounts of growth suppression. Contact Dr. Kreuser at wkreuser2@unl.edu or 402-472-1869. Gain experience about the process of conducting plot research for industry leading companies in a field setting. Emphasis on assessing pesticide effectiveness on crops like corn and soybean, evaluating GMO traits in the field and collecting data to determine pesticide residues in plant tissues and soil. There will be additional opportunities for collecting data related to plant health including the impact of diseases, insects and weeds. This project will provide hands-on experience conducting agricultural research. Contact Jess Spotanski at jess@midwestresearchinc.com or 402 366 9230. Antimicrobials administered to livestock eventually end up in the soil and may contribute to antimicrobial resistance and potentially adversely affect important microbial functions in the soil. This project provides laboratory research opportunities to measure and evaluate soil microbial functions (decomposition and nutrient transformations), antimicrobial resistance, and microbial community composition. The outcomes of this research will provide important information about the risks and levels of antimicrobials that impact important soil processes. Rangeland ecology: work as research assistant in grazing ecology and grassland conservation research projects at the Barta Brothers Ranch or at the Grand River Grasslands in Nebraska. Do an internship on a ranch in the Nebraska Sandhills learning about cattle management and production and grassland conservation. Potential Projects that may be available for Interns: Assist with graduate students and research scientists on range and grazing ecology projects in the Nebraska Sandhills and/or in the Grand River Grasslands in Iowa. Work on ranches in the Nebraska Sandhills learning how to assess grassland/rangeland condition, to move cattle in grazing programs, to care for cattle on grazinglands, and to make decisions about grazing management and grassland conservation. Contact Dr. Scott at wschacht@unl.edu or 402-326-0086. An integrated approach is needed to improve farming systems toward greater sustainability to meet societal demands for food, feed, fiber, and fuel. Soil and crop management strategies can optimize the capacity of agricultural soils to store carbon while minimizing greenhouse gas emissions from nitrogen fertilizer and management practices. Current research will (1) evaluate conservation tillage practices and crop diversity on the soil resource, (2) develop management guidelines for sustainable intensification of current corn-soybean rotations using winter oilseeds, and (3) improve water and nutrient practices on crop and feedstock production. Developing lessons, tutorials, and video recordings for an online precision ag data management course. Complete a case study on using drones to collect and analyze aerial imagery for on-farm research sites. In addition to assisting with aerial imagery data collection and GIS analysis, this student will generate a report on the process and provide recommendations and benefits of using this technology in an on-farm setting. Assist with dissemination of research through innovative ways such as videos, online decision tools, and podcasts. The Nebraska On-Farm Research Network has around 80 research sites annually, located on farmer cooperator fields. Interdisciplinary training program that focuses on understanding and managing for resilience to better prepare for future uncertainty. A series of unique fire experiments have been established to study biological responses to grassland and forest landscapes being transformed by fire. (2) Does extreme fire increase or decrease resilience of carrion beetles? Contact Dr. Twidwell at dirac.twidwell@unl.edu or 402-580-8832. The decline in overwintering monarch butterflies over the last ten years has been attributed to the loss of overwintering habitat in Mexico and the loss of seasonal milkweed plant required for larval survival in the U.S. The decline of monarch butterfly populations instigated a petition in 2014 by the U.S. Fish and Wildlife Service, which lists these pollinator insects as a threatened species under the Endangered Species Act. A status review decision is scheduled for 2019. Monarch butterflies found east of the Rocky Mountains have multiple summer generations, with the final generation migrating to an overwintering location in Mexico. It is estimated that half of the monarch butterflies that overwinter in Mexico originate in the Midwest U.S. A primary factor affecting monarch larvae is the loss of larval habitat due to an increase in acreage for crop production. Fluctuating climate and agricultural practices can affect the reproduction and longevity of monarch populations; however, there is a gap in knowledge regarding the impact of these stressors on the survivorship of monarch larvae. This project aims to identify stressors that affect monarch survival in the Midwest U.S. by surveying monarch abundance and milkweed habitats. Furthermore, we are evaluating the effects of environmental stressors (i.e., starvation, drought, pesticides, etc.) on the fitness of monarch larvae). In the long term, this information will contribute to the identification and implementation of conservation and mitigation strategies to protect monarchs in Nebraska. The intern will be involved with the rearing of a monarch colony and will evaluate the effect of one stressor (e.g., starvation or a pesticide) on the fitness of monarch larvae. The fitness parameters measured will be used to calculate population growth parameters that in combination with other stressors measured in our laboratory will be used to model population growth under different stress scenarios. Contact Dr. Velez Arango at avelezarango2@unl.edu or 402-472-2152. We explore the effects of local conditions and management on horticultural crops and the environment. Our goal is to develop novel management tactics for local, urban, and organic specialty crop farmers that increase yield and reduce labor without jeopardizing environmental quality. Contact Dr. Wortman at swortman@unl.edu or 402-472-6404. 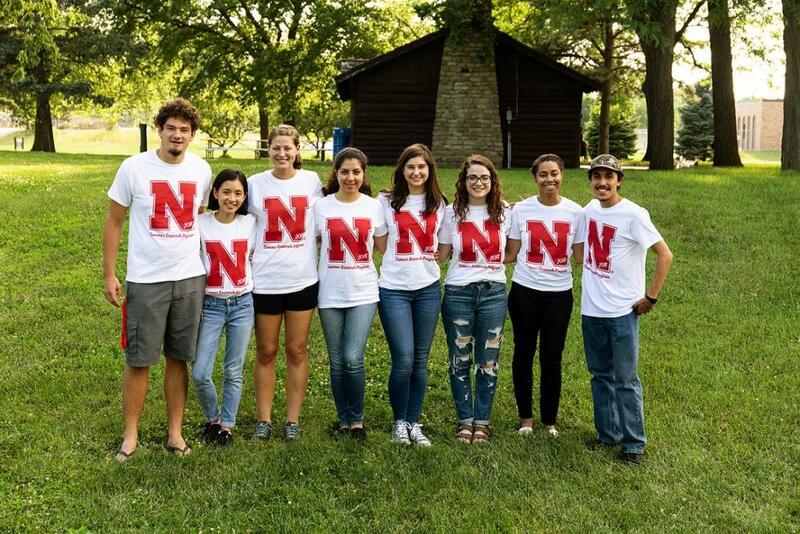 Funding for the Summer Research Program is provided by the National Science Foundation, the Department of Defense, the Nebraska Center for Virology, and the Vice Chancellor for Research.